Samsung’s latest Chromebook is so similar in exterior design to Apple’s MacBook Air that not even YouTube’s graphic designers can tell the difference, apparently. 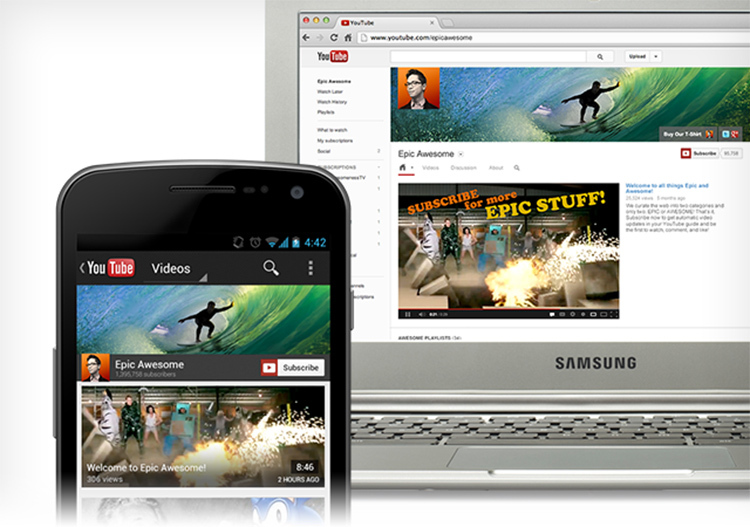 YouTube recently introduced One Channel, an attempt to unify the look and feel of one’s video channel on YouTube across devices, and used images of Google’s Nexus 4, Nexus 7 and Samsung Chromebook on an introductory page to better illustrate this. Samsung Chromebook is the best-selling netbook running Google’s Chrome OS. It does not, however, run Mac OS X as YouTube designers have overlooked. If you look carefully in the top left-hand corner of the image you’ll notice that the Chrome browser screenshot used is clearly from a Mac OS X application, denoted by the familiar red, yellow, and green close, minimise, and maximise buttons. That’s not Chrome OS. Notice the Mac OS X icons in the top left-hand corner? The Chromebook’s ultra-thin design, tapered edge, silver finish with black keys is all too similar to Apple’s earlier released MacBook Air, which runs Mac OS X. It’s a simple mistake but pretty funny considering everybody seems to be suing each other recently as their products become less and less distinguishable.  Archived in General and tagged Apple, chrome os, macbook air, samsung, samsung chromebook, YouTube. Bookmark the permalink. That’s embarrassing, you’d have thought the ‘Samsung’ logo would have tipped them off.